The Big Hello to all new arrivals! 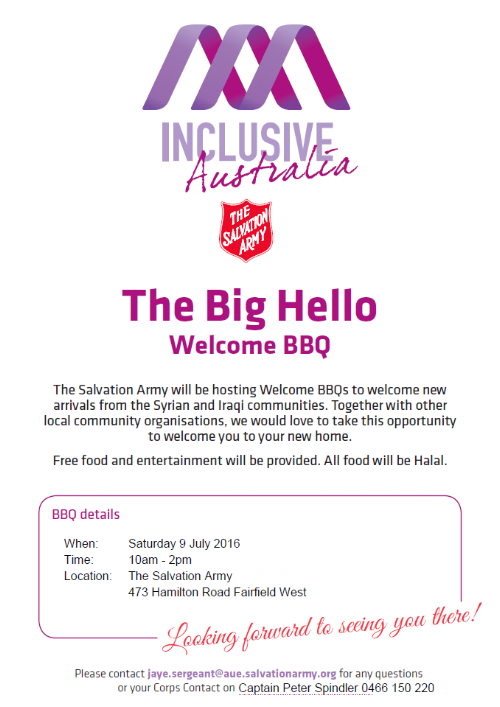 To welcome the new arrivals from the Syrian and Iraqi communities, the Salvation Army will be hosting a Welcome BBQ this coming Saturday at Fairfield West. With food and entertainment provided, it will be a wonderful day of celebrations. We hope to see you there!